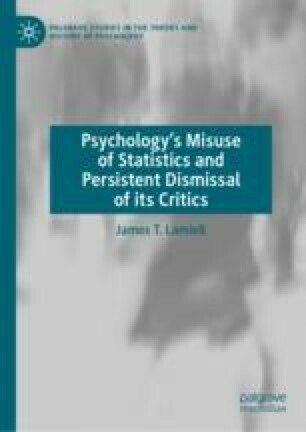 This final chapter begins with a brief review of the major historical developments, elaborated in previous chapters, that landed mainstream psychology in its current epistemic predicament. I then discuss a variety of matters about which maximum clarity will be essential if the obdurate resistance that has thus far prevailed within psychology’s mainstream to the needed change in its investigative methods is ever finally to be overcome. First, I note that although psycho-demographic inquiry cannot qualify as psychology, I explain both that and why this is not an argument that such inquiry is of no merit. Second, and against the notion that no viable alternatives to the currently dominant research paradigm exist, attention is directed to a promising framework called ‘observation oriented modeling.’ Third, I emphasize further that the present argument is not against the use of quantitative methods in psychology per se, but is rather against the use of aggregate statistical methods as a way of advancing knowledge of the psychological functioning of individuals. Fourth, I discuss the need to overcome enduring misconceptions in contemporary psychologists’ understanding of the concepts of ‘nomothetic’ and ‘idiographic.’ The chapter concludes with a plea for reviving a conception of psychology as both a natural science and a human science, noting that such a revival will bring with it a recognition of the need for and scientific legitimacy of both quantitative and qualitative research methods. Wundt, W. (1913/2013). Psychology’s struggle for existence (J. T. Lamiell, Trans.). History of Psychology, 16, 195–209. https://doi.org/10.1037/0032319.